Whoa you guys. I have not posted in forever. You would think that with all the Christmas baking I did, I would have something to show for it, but you underestimate my incredible laziness. 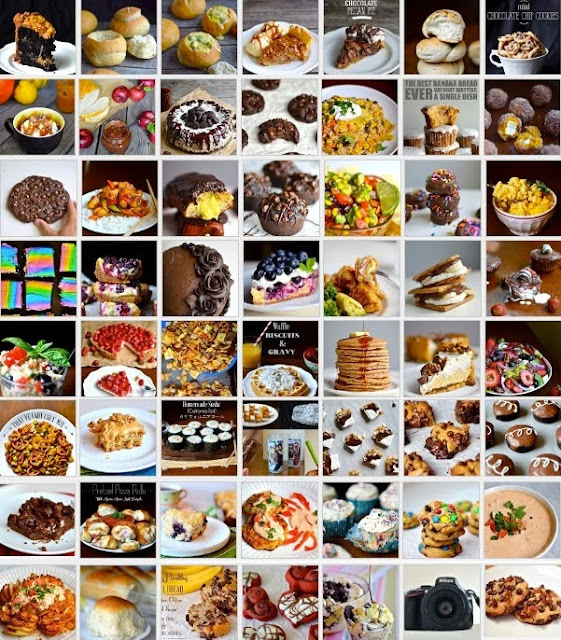 When I spend all day baking, I'm usually not interested in trying to make it look pretty for pictures. I mean, I literally have no pictures with twinkly Christmas lights in the background this year. I would like you to know though that I did make about five kinds of fudge, peanut butter blossoms, gluten free sugar cookies, M&M cookies, maple balls, gingerbread blondies (sadly no record of these) and more. So don't judge. Anywho, seeing as how it's been about half a month since I last posted, I decided I would just wrangle up a few of the most popular posts from this year to entertain you (like I did last year). But before we begin, I suppose a few sentimental words are in order. You guys, you are awesome. Not only am I thankful to you for stopping by, seeing what I have to say, complimenting my work (or even criticizing and/or correcting it), but I'm also thankful for the money you are unknowingly giving me by giving exposure to my ads. Oops, I just ruined the sentimental. Seriously though, I never thought I would become a "career blogger". In fact, when I first started this blog, I didn't even know that you could make money on blogs. The fact that I get paid for doing something I love is just awesome. I have accumulated over 12,000 Facebook followers and 870 Twitter followers (even though I still don't really know how to use it). I have surpassed 10,000,000 pageviews. I got on Huffington Post and Buzzfeed a couple times I think. Too lazy to look for the links though. I started my gluten-free blog (or maybe I started it last year??). Which, though it may not be as popular as Yammie's Noshery, does give me great joy. Mostly because of the tearfully joyful and grateful comments I get on there from people who haven't had pizza in years or are baking the first successful batch of cookies in months. 1. 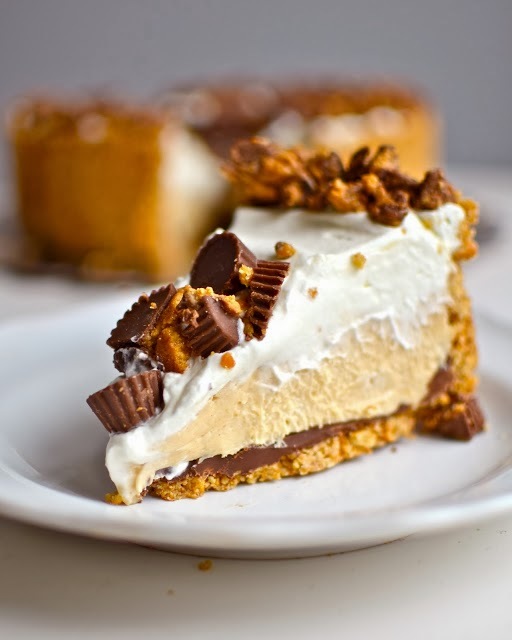 Most popular 2013 post: Deep Dish Peanut Butter Pie with Chocolate Covered Pretzel Crust. This got posted onto the Reese's Facebook page. That was pretty weird. I was just scrolling though my newsfeed and I was like, "Hey, I know you!" 2. 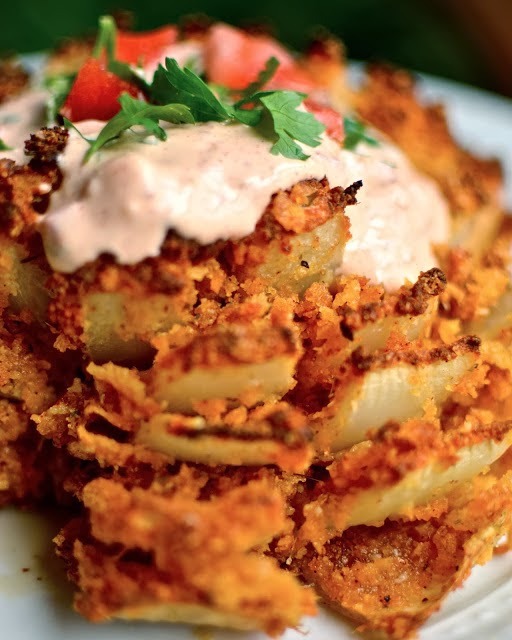 Baked Bloomin' Onion. Guess I'm not the only one who hates deepfrying. 3. 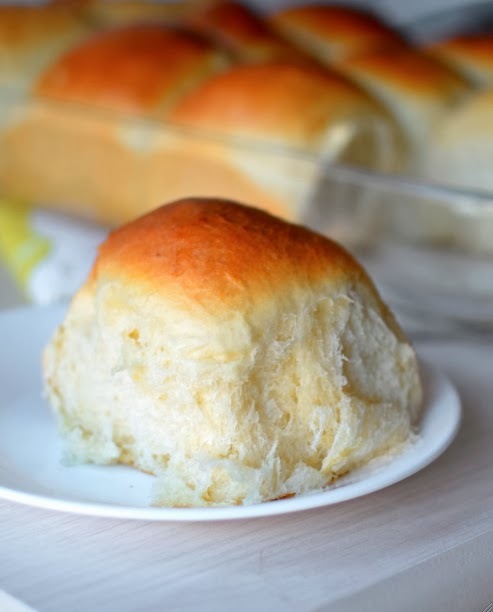 Hawaiian Sweet Rolls. Even though I hated those photos. Yuck. I guess you guys liked them anyway. 4. 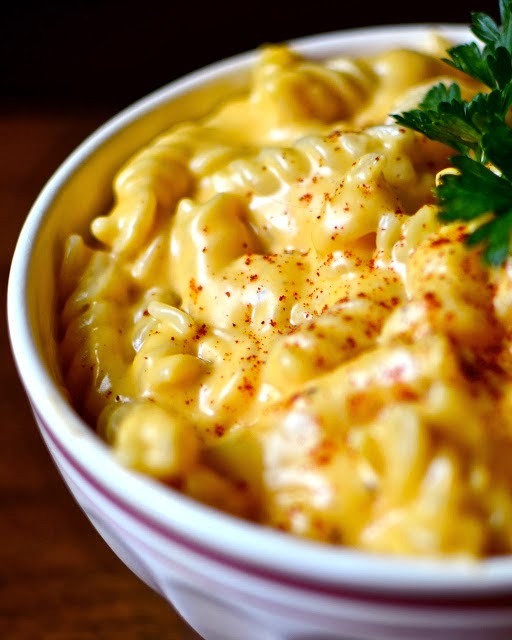 Secret Ingredient Stove top Mac and Cheese. For obvious reasons, including the fact that you can make it in like two milliseconds. 5. 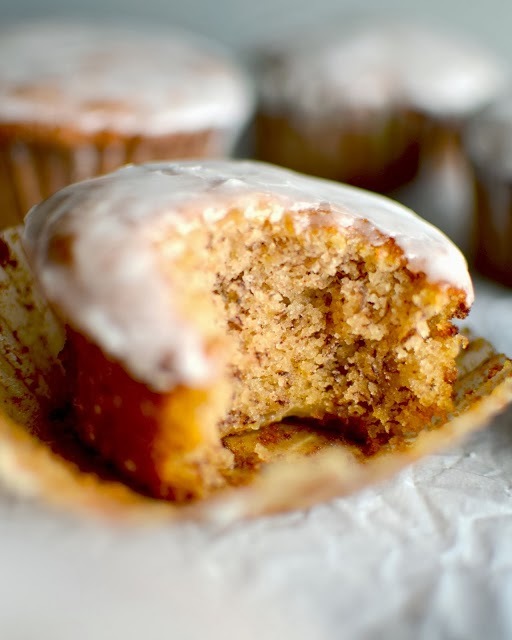 Best Banana Bread Muffins Ever. Seriously, the comments confirm it if you don't believe me. As does the fact that it's Grandma's recipe. As does the fact that you won't dirty a single dish in making them. No wonder they're famous. 6. 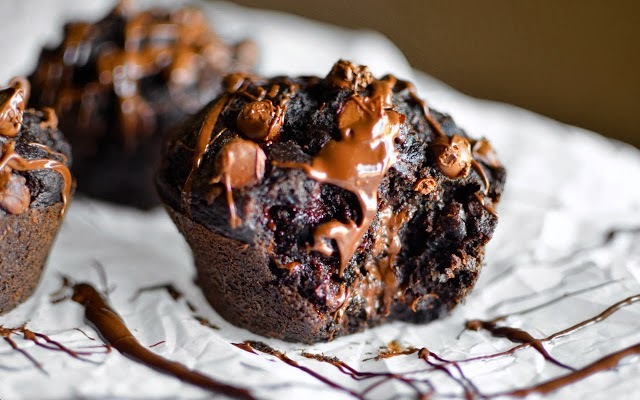 100 Calorie Double Fudge Banana Muffins. I guess people were into banana bread this year. 7. 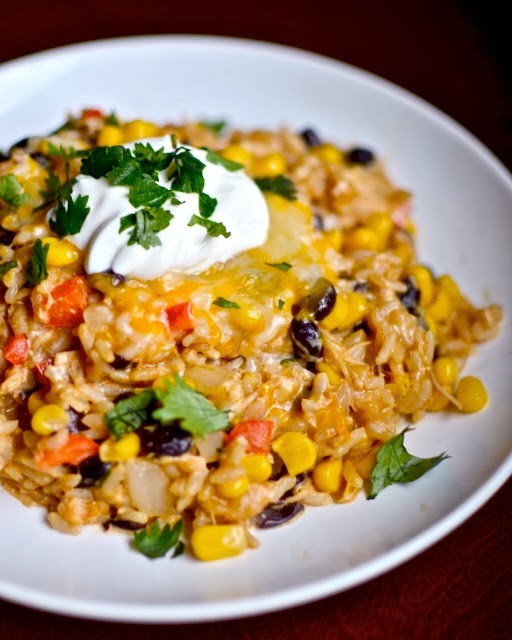 Cheesy Chipotle Chicken and Rice. No words. 8. 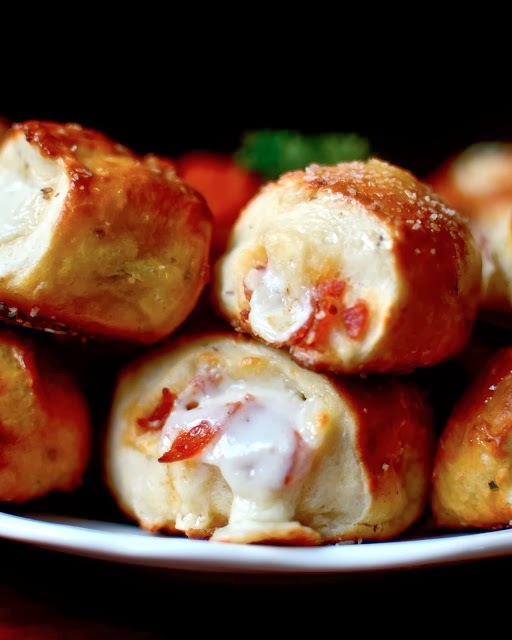 Pretzel Pizza Rolls. Probably because of the fact that I used my Auntie Anne's Copycat Recipe. 10. 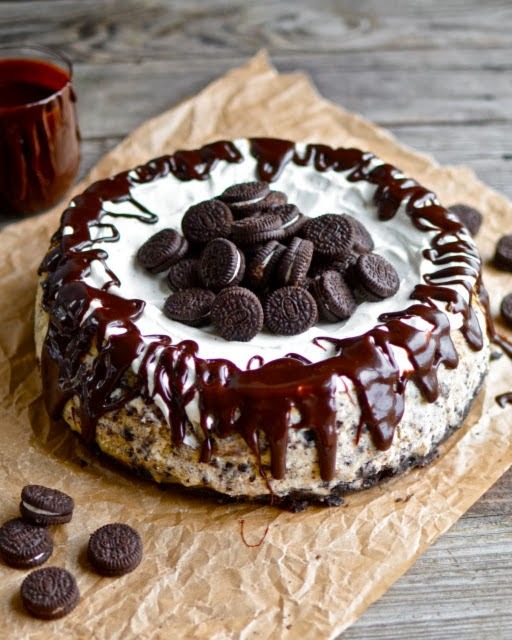 And last but not least, Oreo Fudge Cheesecake. 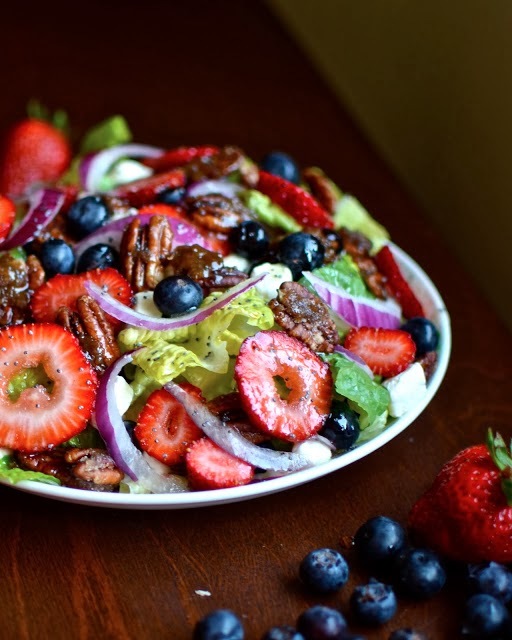 Okay, this is totally random, but while I was looking at all those things, I stumbled on this salad and I want you to look at it cause it's pretty. K bye.